What do Seton Hill students do on a Saturday in February where the temperature dips into the teens? They go out and build a house, collect recyclables, paint walls and take down Christmas decorations of course. More than 180 Seton Hill students went out in the community on February 9 to honor the life and legacy of Dr. Martin Luther King, Jr. during the traditional Take the Day On community service event Seton Hill's Office of Campus Ministry sponsors every year. 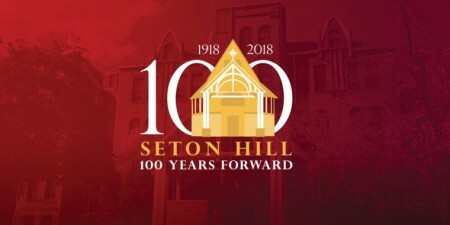 Since classes don't begin until after Martin Luther King Day each year, Seton Hill holds its event in February. Students, faculty, staff and alumni helped the community at 20 different service sites throughout Westmoreland County. They helped build a house and organize the warehouse for Central Westmoreland Habitat for Humanity. They sorted donations at the Saint Vincent DePaul and Christian Layman stores. They collected recyclables at Westmoreland Cleanways and they removed Christmas decorations at Overly's Country Christmas. You can learn more about the day and view a video produced by the Tribune-Review.